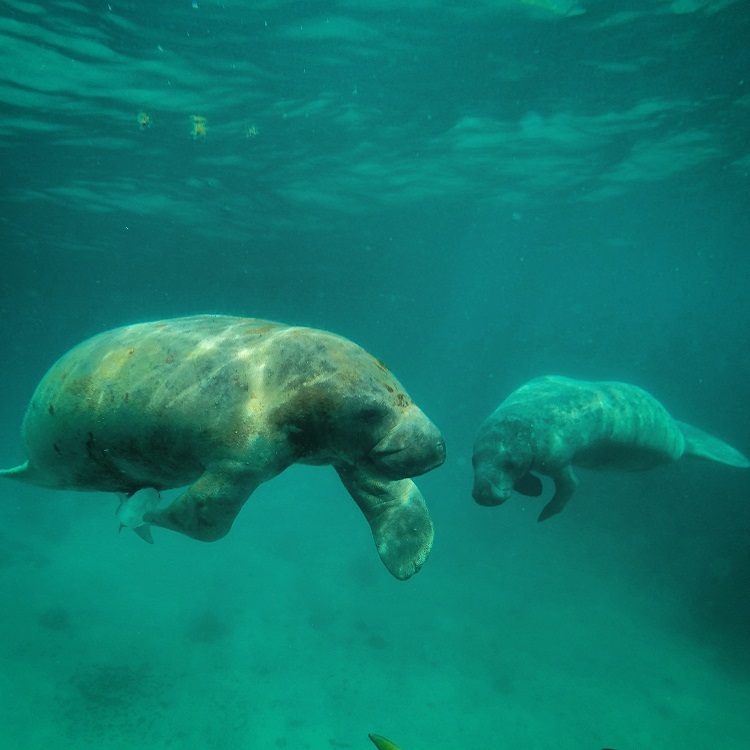 Manatee Watching & Snorkelling Tour — Jaguar Ventures of Belize Ltd. It takes ten minutes to get out to Swallow Caye from the city. Turtle Grass is what attracts these ungainly yet graceful mammals to this location, and they can feed till their hearts content. Although large creatures, we do not attempt to interfere with their activities, because they are easily intimidated. We will observe them, and they us.Manatee are inquisitive animals. Moving on, to the Barrier Reef. The white coral sands of the cases are great, the snorkelling is calming. After a couple of hours of fun in the sun, we will reluctantly make our way back to Belize City.